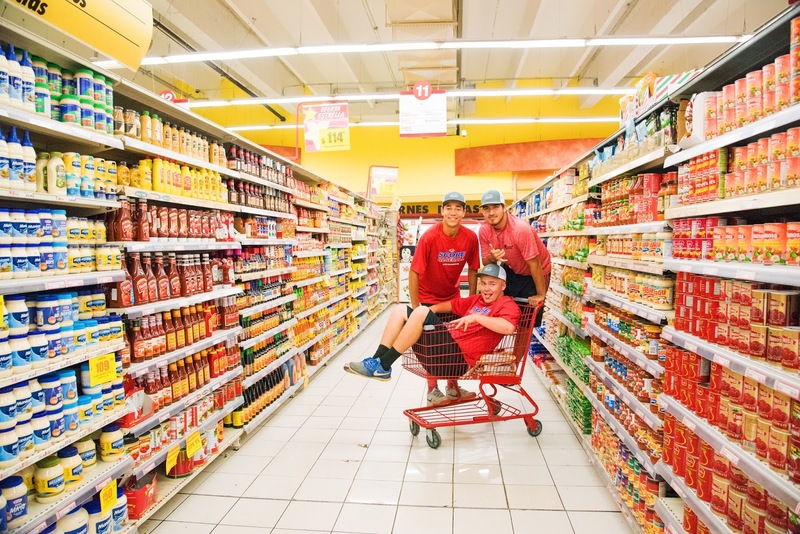 Homeschool baseball players from different states in the USA journey to the Dominican Republic to present the gospel of Jesus Christ through the language of...Beisbol. We are back in the states, but the Dominican Republic is still in our hearts. We surely could have stayed there longer. We love the people, we love the culture, we love the food...most importantly, we love seeing the Lord at work as we share His Word and His Love. It is a blessing to see many Dominicans surrender their hearts to Jesus!! And, it is a joy to make visits, bring food, bring hugs, and of course, play baseball. God does all the work, and we are merely His vessels. 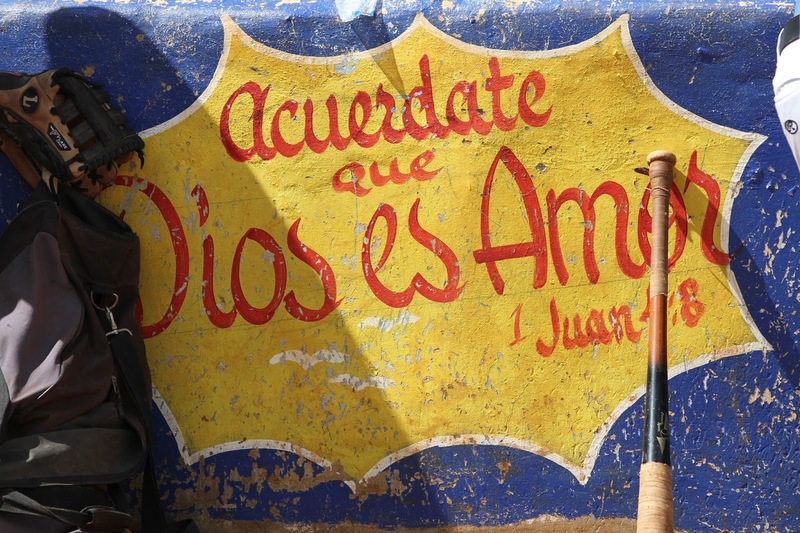 The Dominicans have content hearts, even in what most would consider harsh circumstances. They are a beautiful people. It is amazing to serve them!! Here in the states, our passion is to continue to share His Word and His Love as we serve as missionaries. People in the states, the DR and around the world need to hear the Good News, the Gospel of Jesus Christ. We are humble to know God uses ordinary people like us for His Kingdom. And, we are excited to serve Him!! As we packed our bags this morning, we were amazed the days had gone by so quickly. Each day was packed with service and fellowship which made our time fly by. We loved every moment with the team as well as the missionaries and local Dominicans. Getting to know each of the missionary wives a little better at the baby shower and as we travelled together, we have a heart to pray for them more. They opened up and shared their lives with us and let us share their burdens and encourage them. As we leave we think of their continuing ministry and how we can contribute and lift them up in prayer when we are back home. Many of the children we interacted with will be in our prayers as well, hoping that we showed them that we were there because we cared and wanted to share Jesus with them. 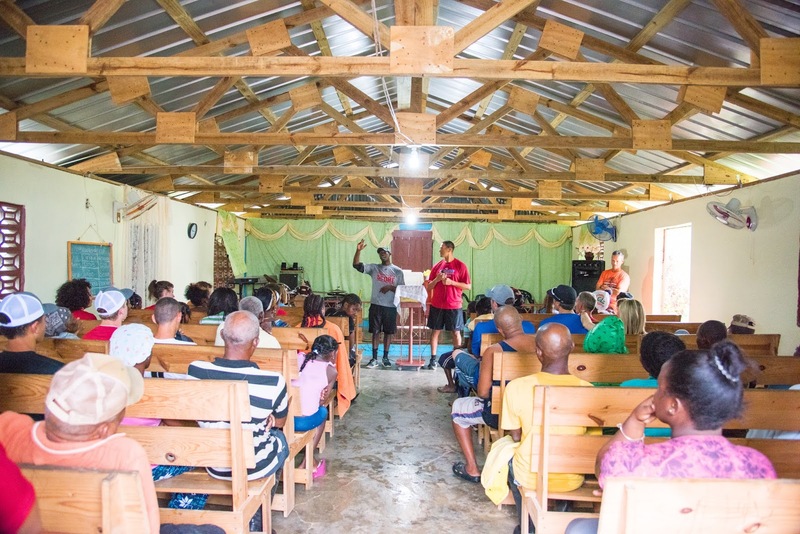 We see the Lord’s work being done in Juan Dolio and the many places we visited, and are grateful that we could see Christ’s love for His people here. The 2016 Mission trip is about to conclude. We are on a bus traveling to watch the “Torros” professional Dominican baseball game. Tomorrow morning we will have a team meeting and then pack and start the journey home. Please pray for our travel tomorrow. Today was a “Beisbol” day. We played a double-header, winning both of them 6-1 and 3-0. That makes our coaches Matt and Loy undefeated! We did have free substitution and also had some Dominicans play in our second game. In other words we had fun. We started the day after breakfast with 2 players saying they weren’t sure if they could play. 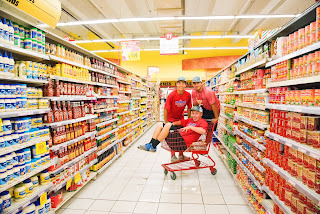 The week has been a marathon and with different food and sleep schedules and our baseball missionaries were simply tired. But…!!! after we started playing they dug deep and got in the game. They ended the day racing the Dominicans in short sprints after playing 12 innings! Of course it was hot but the players that started the day tired ended the day with more with more energy than they started with. 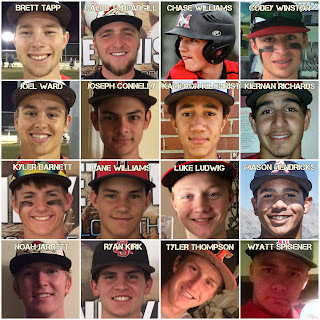 Our baseball missionaries were simply awesome! After the games we served our opponents lunch and then sat among them. The wonderful lunches were made by our other teammates … the ladies and adults. They enjoyed ham sandwiches with chips, apples, a fancy cookie and fruit juice. After lunch we met together on the infield. We announced the MVPs from both teams and then shared testimonies about how everyone stops playing baseball eventually. Jose Fernandez & Oscar Traverez ended their young MLB careers prematurely. We also talked about how Albert Pujols, Andy Pettitte & Ben Zobrist were all unnoticed early in their baseball careers like many of the Dominicans. All 3 of these men also knew that God’s eyes move to and fro throughout the whole earth to find the one whose heart is completely His! Bottom line is God has plans for all of us and being faithful to our Savior is the most important part! We also gave each player a professional 5 x 7 print & 4 baseball cards of themselves. 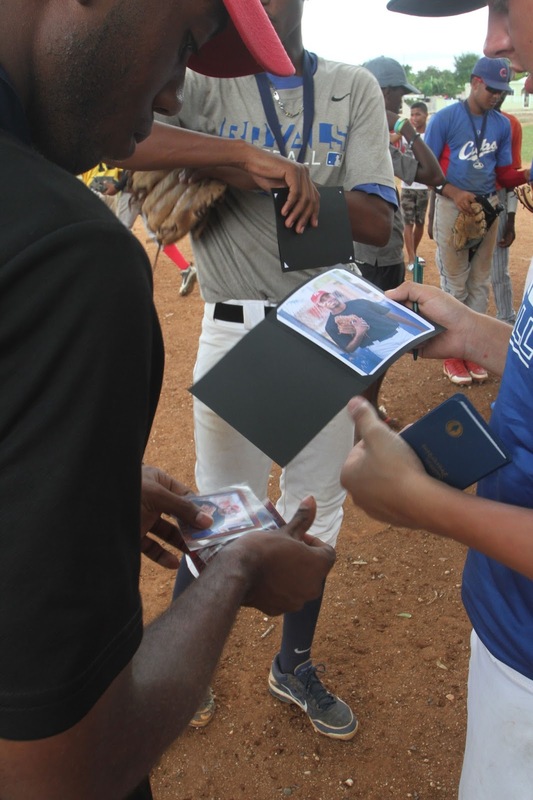 Our photo missionaries took pics of the Dominicans before the game and then without electricity used a battery printer and made a beautiful portfolio package for them. We included a Ben Zobrist testimony card and a one of a kind Andy Pettitte SCORE card (that Andy made specially for our team) and a Gospel pen. Today is basically what our mission trip is all about. 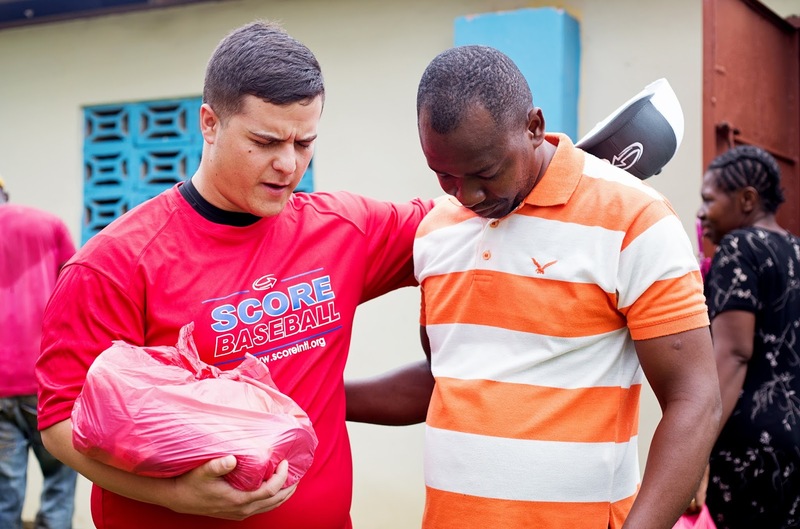 Most of the players on the DR team are already Christians because of the outreach of SCORE and baseball missionaries like ourselves. Coach Robertsy is doing a great job discipling his young men. I am so proud of our team and the love they have showed to a foreign culture. 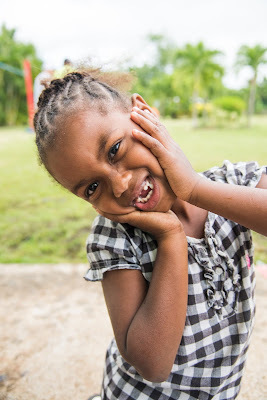 It has been well received and judging by the motivation factor of our entire team serving is a pure joy… even when your tired in the Dominican Republic! Another hot day in the Dominican. The boys were off early to morning worship and then clinics and a game in Boca Chica. The ladies started a bit more leisurely and ventured just down the road to visit Lilly house. Lilly house is a safe house, workshop and training (physical, mental and spiritual) center for women who want to leave a life of prostitution. They shared why it is called Lilly house. The Lilly is a symbol - it refers to the amazon version - an enormous white flower that is generated from tubers down in the mire and muck of the dark riverbed. It reaches up from below and when the sun’s light touches it it blooms into a gargantuan snow white blossom that then has an umbrella effect of protection and security (peace) for other amazon flora and fauna. What a beautiful metaphor of the changing power of God’s love in all our lives and the amazing work specifically being done at Lilly house. I was touched by the symbol as I saw and was ministered to by women whose lives had been changed. Benediciones! To God be the Glory! Today we did the biggest clinic of the week. There were at least two hundred kids there ready to play some baseball. After the clinic we did a gospel presentation and at least fifty kinds gave there life to Jesus on the spot. It was one of the most amazing thing I have ever seen. It is amazing to think that we have been in the DR for only three days! So much has happened and so much is going to happen. Yesterday the team went to Alfonzo Soriano field. On the ride there coaches gave great speeches, guys shared fantastic testimonies, and the team was thoroughly pumped up. Apparently someone forgot to tell God that we had a game. The field was how the Dominicans say, “really wet”. Puddles had formed between bases, the mound was wetter then a shaggy dog in the rain, and billowing thunder clouds were in sight. As the rain poured down, and both teams crammed into a dugout, Mr. Coneby called me forward and I gave my testimony. God calmed my nerves and gave me a powerful voice to speak to the players. Words do not describe how amazing it was. 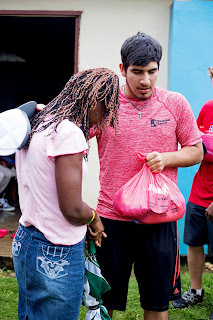 That moment is the reason I came to the DR. That moment is why I encourage everyone to go on mission trips. When God speaks to others through you, there is this indescribable thrill. I can’t wait to see what God has in store for the rest of the week. Thank you for the prayers, and good night. Today, Tuesday November 8th, we hosted a baseball clinic for the kids of the Dominican at a nearby baseball field. It was a blessing to see how happy the kids were to play/learn the game of baseball. Most of the kids that showed up to the clinic today did not have equipment (baseball gloves, bats, cleats, etc. ), but they did not let that stop them from having a good time playing baseball. Once the clinic ended, we gathered up all the kids in center field for a few of us to share our testimony. After we finished, we gave all of them a Spanish Bible, a gospel pen and an Andy Petite baseball card. Then, we loaded up the bus and came back to the SCORE hotel for lunch. 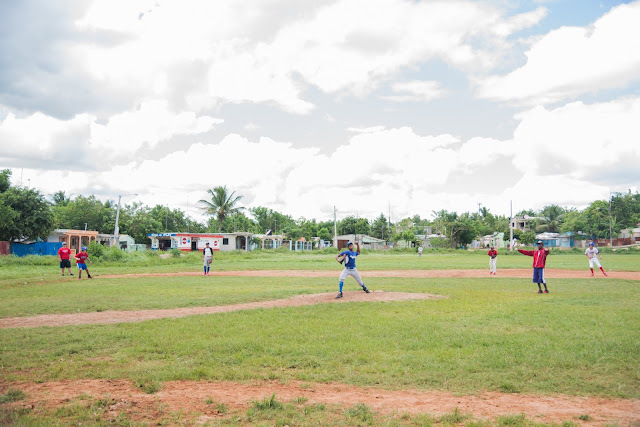 We had a short break from the sun, then got back out to play against one of the Dominican teams in baseball. As we pulled up to the fields, it started pouring rain and the field quickly was under water. So, we cancelled the game and played a practice game in the outfield. We mixed up the teams and split them half and half. Then, we shared the gospel again. It was a blessing. We leave this Saturday to go back to our homes, so please pray for safe travels to and from the airport and on the planes. On this day, Tuesday, November 8th, was a very powerful day where God was able to work with great power. First, we went to a local field and ran a camp for the kids. We pitched, hit, and fielded with all of them. While these kids didn’t have the proper equipment or technique, their raw passion and ability for the game was unbelievable. After that, we brought all the kids together and presented them with the gospel. Praise God, there were several new believers that responded to a powerful message by our camp leader. 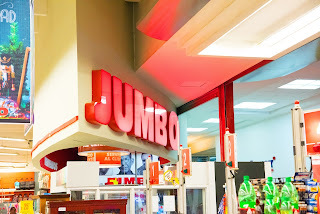 We then headed back to the complex for some lunch and a short break then headed to the shortstop capitol of the world, San Pedro de Macoris. This was also the field that Alfonso Soriano was discovered. However, after some setbacks (aka rain), we averted to a mini scrimmage in the outfield where we mixed teams with the Dominican kids. It was amazing to see them and play side by side with potential major leaguers. After that, we came back, ate dinner, and wrapped up the night with worship and a sermon. It has been a great week so far, and I look forward to see how God works the rest of the week. 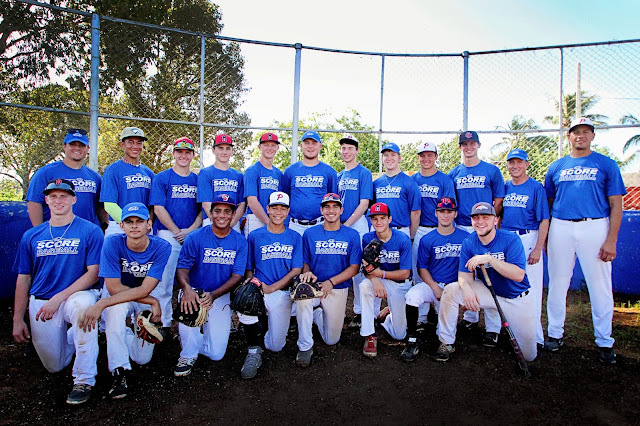 Tuesday November 8th was a day jammed packed of baseball, fellowship, and gospel in action! 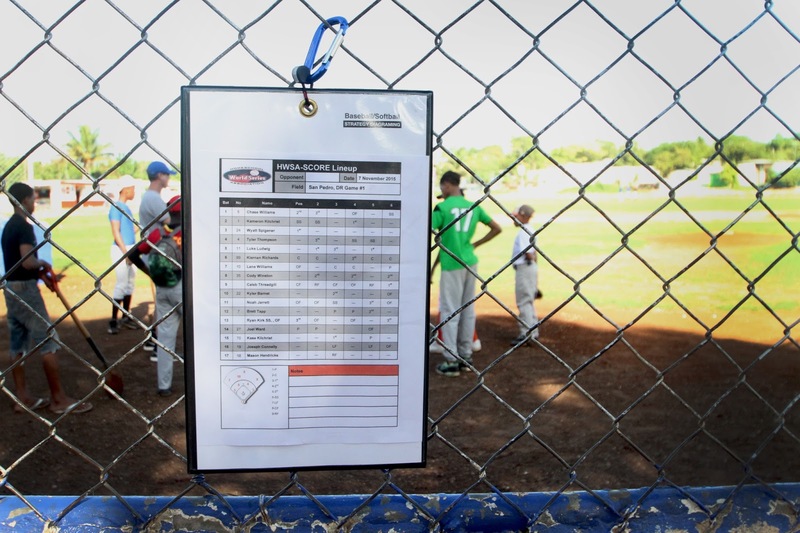 To start us off, we headed to our daily baseball clinic or camp for the youth of the Dominican. It was amazing! The kids were so excited to see us and so were we to see them! 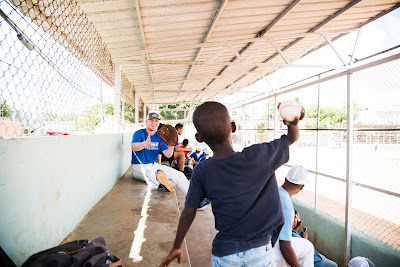 Along with giving them instruction on their baseball skills, we also gave them what Christ gave us; the gospel message. Even though the kids were lacking materially, they shared so much wealth in spirit it was unbelievable! From the testimonies shared by our clinic coaches and the inner working of God’s Spirit, many a heart was softened and even accepted Jesus as their Lord and Savior. I’m so glad to be apart of the harvest God has prepared for the Dominican. 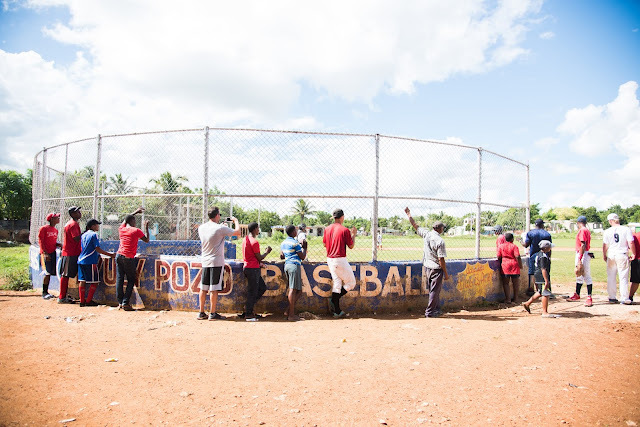 After we wrapped up our clinic and refueled for lunch, we set out for a baseball game with a local Dominican team at Alfonso Soriano field in San Pedro de Macoris. Unfortunately the game was cancelled due to multiple downpours, but we made the most of the time and played some ball with the kids who showed up. In addition with our fellowship in baseball, we were able to fellowship together in Christ. Through a gospel presentation, testimonies, gospel pens, Spanish Bibles, and personalized baseball cards for each player we were able to connect our cultures in a way that can’t be explained by anything other than the truth of gospel. Once we said our goodbyes we left to finish the night with worship, more testimonies, and a life changing message from former marine, Tim Lee. At the end of the day, as many Dominican hearts were touch by God’s mission as American. I can’t wait to see what else God has in store for me, my team, and the people of the Dominican Republic. We have been in the Dominican Republic for around a day and a half now, and it is amazing to hear and see the work and transformations God has done in so many people’s lives. I couldn't ask for a better group of guys to be down here with. God is good, and has provided the whole way for us. 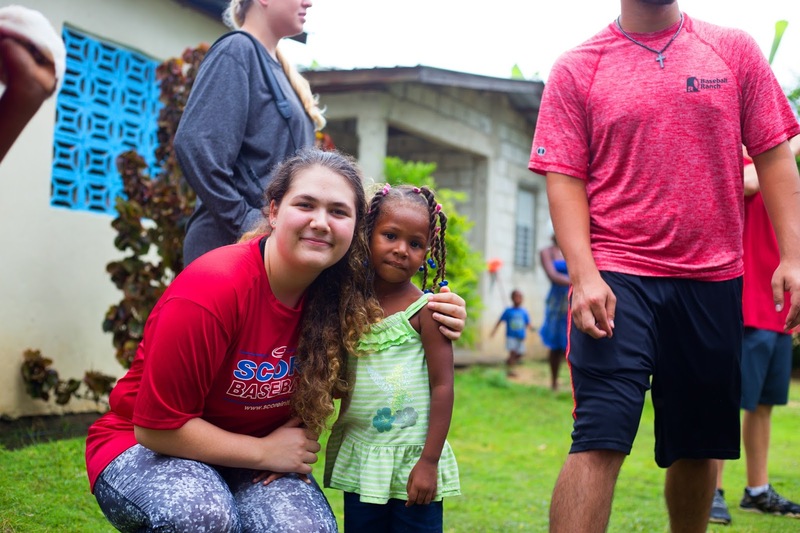 This is my third time in the Dominican Republic to serve in missions, and each year I learn so many new things from SCORE, as well as the Dominicans. Their fulfillment doesn't come from material things, or big lifestyles. They are content and fully satisfied with the provisions God has given them. I have learned that poverty is not defined by what you have or don’t have. Poverty is a state of mind. It’s up to you to choose whether or not you would like to hope on greater things. However, if the foundation of your hope is not God, then there is no true hope. All of us can have a different definition of poverty or big living, but when we trust in the Lord we are all equal. Today was our first full day in the Dominic Republic and it was fun and exciting. We started off the day heading to a local beat up baseball field in the middle of a village. As we started the clinics I we were given a group to guide though the stations; I found myself able to bond with these amazing kids. After a gospel message we packed up and headed to a nearby school. There were tons of kids playing and just having a good time. One of the children approached me and simply said “caballo” and gestured to my back. For the next 30 min myself and all of my fellow missionaries were giving horse back rides to these kids. We were running and spinning and laughing around with them on our backs and it was so much fun! This was not the end of our day so we had to leave. 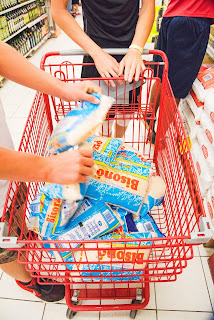 The team headed to the grocery store and we were able to shop for 25 bags worth of staple foods. As we headed to the village it rained but the Lord held it off allowing us to continue. There was a service and worship we were able the be a part of, that was all A cappella and it was truly powerful. 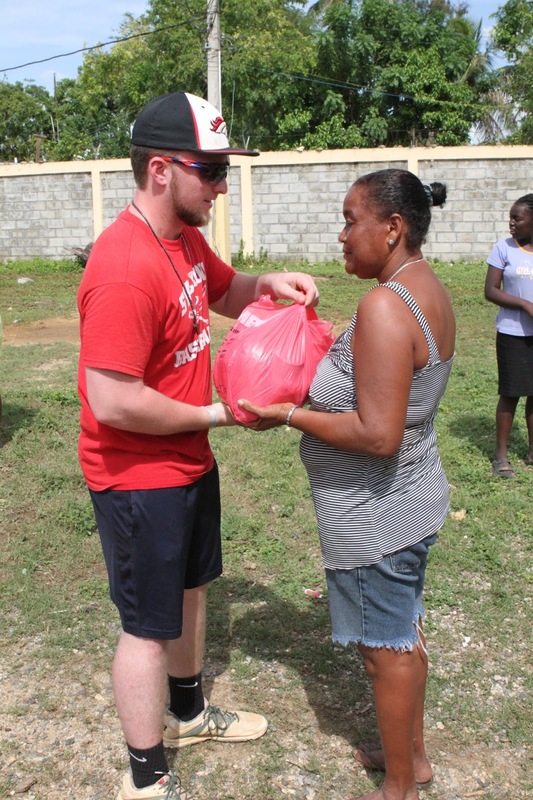 After, each of the missionaries were able to hand out a bag of food and pray for the family that it went to. It could not have been a better day. Today we went to a village named, La Cubana (Little Cuba). When we first arrived, one of the Score staff went and started telling people to come to the church. We then gathered and some people from our homeschool group shared testimonies with the people. We sang a song together, and then each of the boys took a bag of food to give to a family and then went to pray for them. I during this time was not able to give out a bag of food, for I had a precious little girl come sit in my lap and want me to hold her. Her name was Diana. We then proceeded outside to walk around and see their village. Diana was attached to my hip the whole time. During this time she kept on trying to say something to me. She kept on stroking my face softly, looking at me with so much love and adoration, speaking so softly and lovingly, but I couldn’t understand her. Never in my life have I been so sad that I couldn’t communicate with someone. Soon more children started to crowd around me, wanting me to hold them. I then had two children, one attached to each hip, walking around the village. Man how I wished I had at least four arms, so I could just love and hold all of them. I think one thing that surprised me the most during this time, was how all the children just ran about with no parents or older siblings watching over them. And the state of their homes was just horrible. You saw rocks sitting on tin roofs to keep them down, people throwing buckets of water out of their homes because it was flooding, and some of the children were even shoeless. They also don’t have any running water. How we take for granted the things we have in America today. Thank you to everyone who have been praying for us, and the donations. Keep us in your prayers, and expect more great things throughout the week! Dios te bendiga! It was a long travel day but all went well and we all arrived on time and safe. After checking into our rooms and eating dinner at our SCORE Hotel, we went to the evening session. There are about 180 total people here for the SCORE Baseball Outreach, which we will be a part of this week. We will also be playing games. So stayed tuned for all the "action blog reports" starting tomorrow! Thanks for your prayers! It was a busy day on the mountain. The team had a great day touring Covenant College and getting a taste of life on campus. They had a workout on a beautiful baseball field. The Simons hosted us tonight for a team meeting and smores on a bonfire. Coach Doug lead a great discussion from the book, When Helping Hurts, to help prepare us to effectively communicate the love Christ has for each and everyone we come in contact with in DR.
We are thankful for the time change! We will be up early traveling to the airport for a 10 am flight to the DR! In just a few short days, 23 HWSA missionaries will be boarding a flight to the Dominican Republic to share the love of Christ with our friends on and off the baseball field. Thank you for your prayers - We are excited about what the Lord is going to do November 4-12, 2016. Stay tuned for updates as internet is available. through the language of baseball. Are you interested in a fall baseball mission trip to the Dominican Republic? To be notified of details: Put me in Coach! Sign Up Here: Put me in Coach! 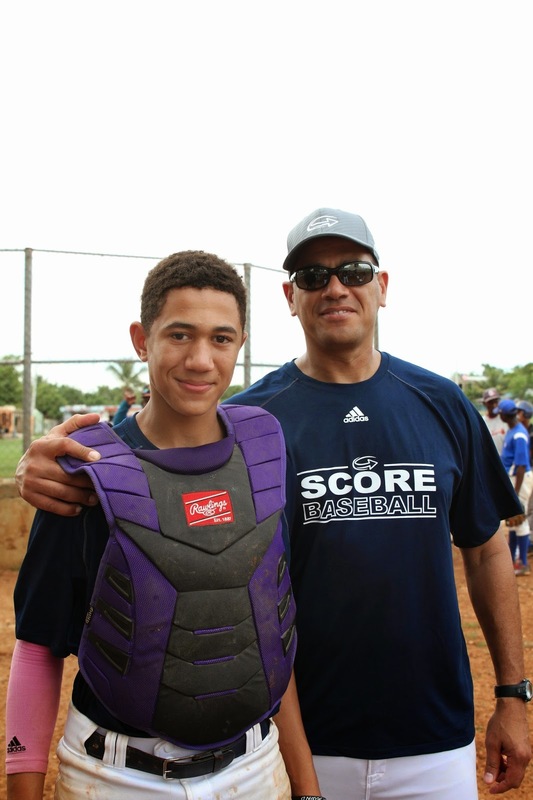 I had an awesome time in the Dominican Republic on the 2015 trip. I had the opportunity to share the gospel story with our last group of kids with the gospel glove. One of the highlights of my trip was going to the Pasitos De Jesus, and playing with the girls that live there. We played volleyball and toured the old and new facilities. This is my third trip to the Dominican Republic, and every time I come its a whole new experience and you see how lucky you are living in America and having parents. Getting to touch a kids life that may never have a positive influence in their life is a blessing and really changes my perspective on stuff back home. 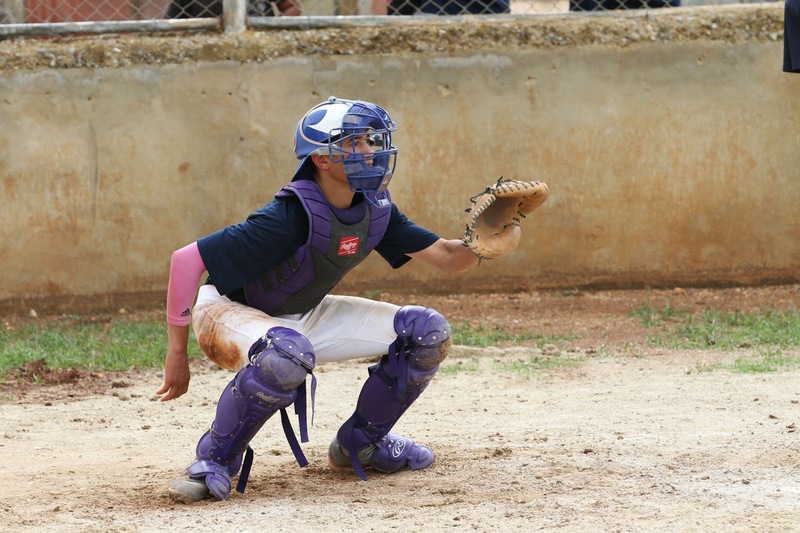 I’ve enjoyed all three of my trips and have made some great relationships with other ball players and some of the local missionaries! 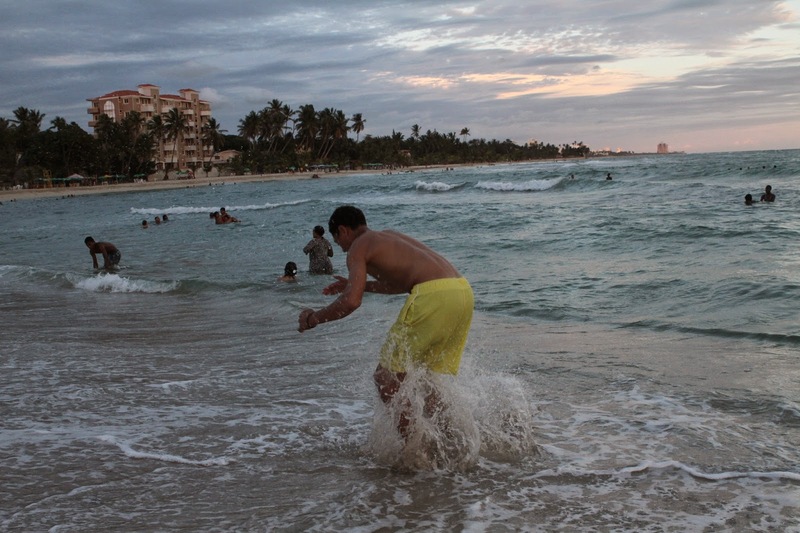 Coming to the Dominican Republic is one the best and most enjoyable decisions of my life. I appreciate Keith and his hard work putting this trip together and have a huge love for baseball and the Dominicans. The way the group of guys gelled on the trip was great and we had a great time. Coming home tomorrow after a great week. 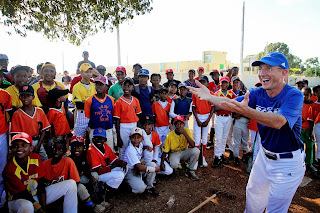 Tomorrow morning we will do one more baseball clinic in the morning and then head to the airport. Thank you all for your prayers. We ask that you continue to pray for those who have heard the testimonies of our awesome young men as they shared the love of Jesus with so many here in the DR.
Before I came on this trip, I came with the mind set that I would be changing the lives of the people here in Dominican Republic…but honestly they’re changing mine. Our days are packed with non stop fun, games, and serving with the people of the DR. So far, we have played baseball, fed villages, put on a clinic, etc. It is such a joy to be able to put other peoples’ needs in front of ours. This trip has been a blessing to be a part of, and I'm looking forward to next year. God bless. 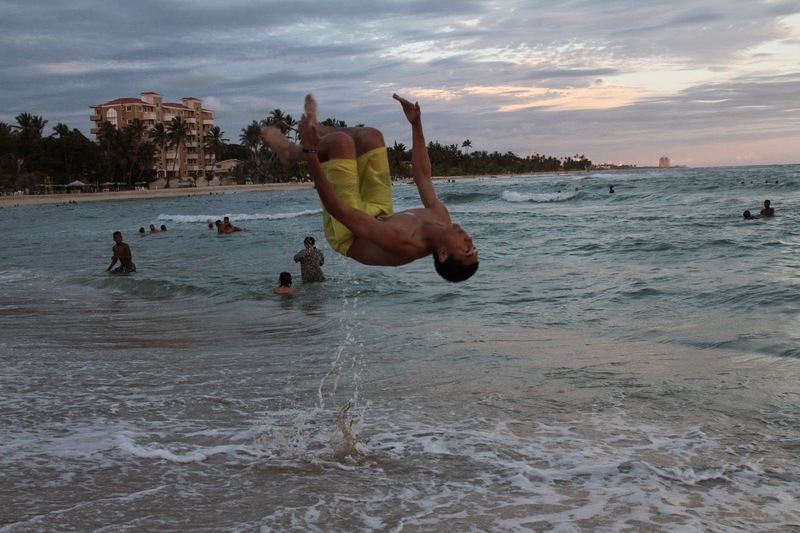 My experience in the Dominican Republic has been amazing! I encourage everybody to take this trip. My best experience so far was the clinic and seeing everyone come together! Another great experience was playing the Dominican teams. They play with such joy and passion for the game! 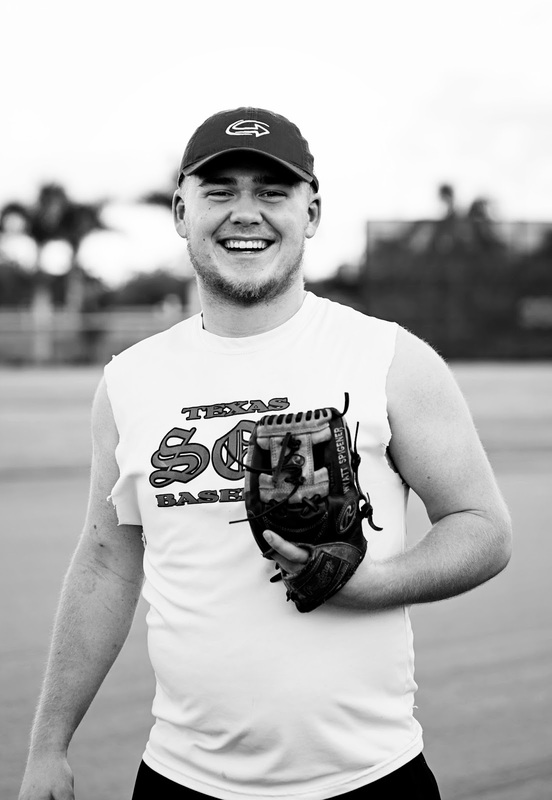 Sharing the Word of God and playing baseball are my two favorite things on this planet. I've enjoyed this trip so far and I'm really looking forward to making more memories! This is my first trip down to the Dominican Republic, and it’s been a life changing experience to say the least. As Americans we have tons of stuff. Even if we are considered poor back in the the U.S., it is nothing compared to the poverty these families live in. The small gesture of giving of giving this kids something we consider to be worthless, can change there lives in a drastic way. I’ve given away a few things to a couple of different kids, and there reactions are priceless. It really shows me how we take everything for granted back home. Also, the simple act of showing love to these kids, makes them some of the happiest people on earth. Because most of these children grow up in a broken home without the love they deserve, just a simple hug or piggyback ride can utterly change their life. I can't wait to go back to the States and spread the same love and joy to everyone I meet. My greatest experience on the trip, was by far our excursion to Pasitos de Jesus. The complex there was really nice compared to the rest of the places we had visited earlier in the week. The girls there were the sweetest little girls you’ll ever have the privilege of meeting. It was really fun to see the hair-styling skills the girls had, put to use on Wyatt and Joseph. Sadly, my hair was too short. Awwww. It was loads of fun sitting on the trampoline with some of the younger girls as they jumped around showing me how high they could jump. We even got to play volleyball with some of the older girls! One of them, who’s 16th birthday it was, was really good! Better then most the people I know back home. After play time, we surrounded around the director and she told us the story of how the orphanage was started. It was truly awe-inspiring! After that, we asked if they could sing us a song, because they were so great the night before! During the song, all the little girls came out into the crowd surrounding them, and hugged everyone individually. The amount of love they showed to us(complete strangers) showed me that no matter what the situation and who you are, you need to do everything in love. It’s great to see how happy all of the families are in the Dominican, even with so little compared to many of us Americans. We have fed villages and played with kids. The baseball games are really fun and challenging. 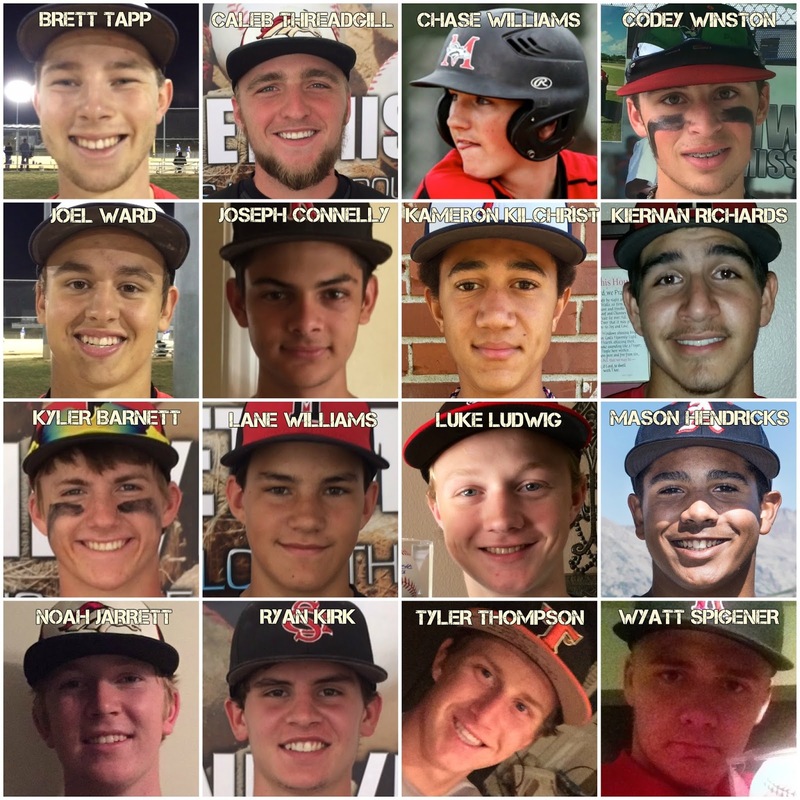 A few kids we’ve faced this year have already signed to MLB teams. The clinics have gone really well. Although, a baseball was thrown at my nose today. It’s broken now…I’m sure it was thrown with good intentions. :p It’s been an amazing trip. God is good! I arrived on Friday after a very ventures Thursday. After a flight delay a normal trip turned into me and 3 others touring the east coast. We made stops in six different states before arriving in the Dominican a day late. When we arrived Friday afternoon we met our teammates at Emanuel House and got a warm welcome everyone was very kind. Saturday we started our day by playing two baseball games against a very good Dominican team. Even though we couldn't communicate through words it was easy to understand each other, because we both speak the language of baseball. It was really cool experience playing with them and the little kids off to the side I was amazed by how well we could communicate and that there was was no language barrier just everyone playing having a good time speaking the game we love, Baseball. Sunday was a day we took to just have a rest. We went to this wonderful church service in the morning. You could just feel the presence of God in the room. It was amazing to be around, everyone was singing and the preacher gave a very powerful message. Monday was amazing our group went shopping with $180 but by the end everyone chipped in and we ended up with $600 to go buy food to feed to families. Once we got the food we went to a village to play with the kids, to give out the food, and most importantly talk about Christ. It was so much fun getting to know those people and the kids were great. 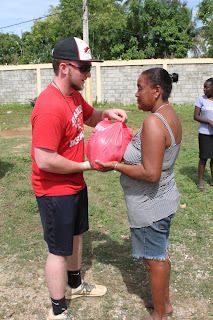 After we finished Playing with the kids we handed out the food and prayed for the families. Later that night we had our regular evening meeting, but with special guest singers. It was an amazing night everyone was up from their seats clapping and singing along, just a great time and an awesome way to end a great day! All this being said, I have really enjoyed my time here with the other players and all the people I have met. Please continue to pray for me and everyone else on the rest of the trip. God Bless. 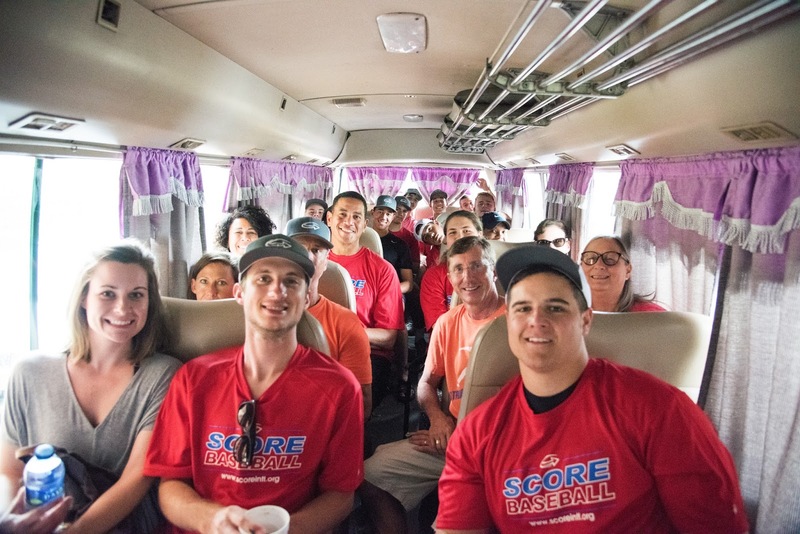 This morning, the players and coaches are off to lead a baseball clinic in a village! They are excited to be able to go today. Yesterday's rain and wet fields changed their direction for the day. In the morning and evening Walt, our speaker for the week has been talking about stewardship. We do not own anything, everything is a gift to us by God. We don't even own our day...God has given to us as a gift. I can say with confidence that even though we did not get to lead baseball clinics yesterday, our young men were good stewards of the the day that was given to them. Watching them love children, give sacrificially (financially and physically), and get out of their comfort zone and pray with complete strangers from another country as they gave them a bag of groceries was an amazing sight to see! Each year, I am amazed at the young men that the Lord has called for this week in the DR. Continue to pray for each of them and all of the people they will touch during their time here. Today was the hump day of our trip and I have enjoyed every moment of it. This day was one of the coolest days of the trip. First, we started by traveling to the grocery store to buy some staple foods and bag them. The second stop was a school where we played basketball and threw some batting practice for the kids there. There we shared the gospel to everyone and passed out the bags of food. During our second stop, we played a game of wiffle ball with more village kids. The talent there was incredible. Kids from ages 6-12 had the intelligence of a 14-17 year old when playing the game. The furthest hit was by an 11 yr old! These kids were turning double plays and lining up throws with ease. In the end, I was able to tell them a little about Jesus when they asked for my cross necklace and I had to decline. Although I couldn't speak much spanish they were nodding their heads and understood what I was saying. I will always remember this day as a blessed one. Not only for them but for me as well. 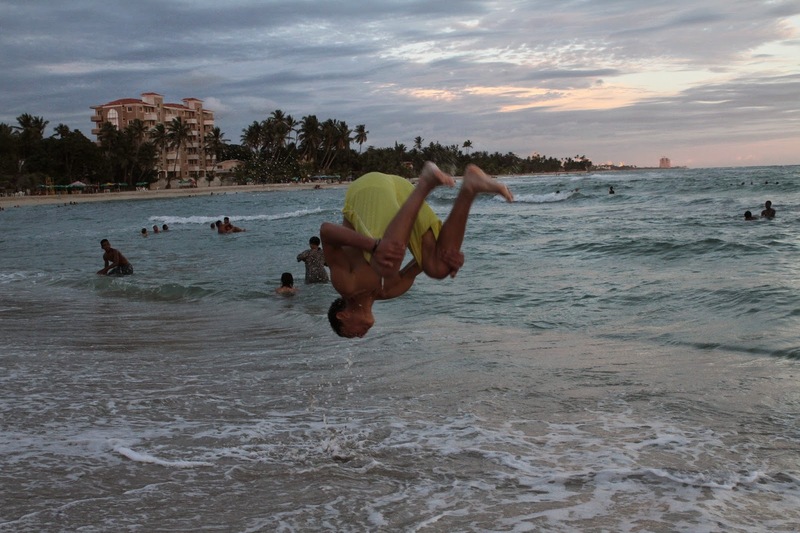 I arrived in the Dominican Republic for the fist time four days ago, and its been some of the best days of my life. The first thing I noticed is how the driving is slightly different. For one, some of the people like to drive on the opposite side of the road. Secondly, no one really cares about red lights. The last thing, is that the people will find ways to fit their vehicles into spot that you never even thought was possible. Also, nobody here is shy. You can walk up to anyone and they will give you a high-five, unlike in America, where they would go and hide behind their mom. Being down here will really make you thankful for what you have, like hot water, clean water, water pressure and good plumbing. My time here has really opened my eyes and drawn me closer to the Lord. Love. Hate. Joy. Fear. These are all things that we as humans experience throughout life. Our group here may be from America and we may not speak spanish, but we can connect with the people here because we are human. We feel the same emotions as any one else. That is how we can connect with these kids and adults. All these people need to hear about love of Christ. I thank all who are praying for us and I hope that when we come back we will have great stories to tell. May the light of Jesus be spread. Amen. We are having spotting internet so I want to post an update while I can. Hopefully tonight we will have the players posts up. Yesterday, we had a great time of worship with a local church plant. The voices singing in Spanish we so beautiful as they sang the songs we know. Many of us tried to read the Spanish words and sing along! The message (translated into English for us) was a great reminder to pray continually, not just when we need it! After church we had a great lunch...the food at the SCORE complex was amazing! We are not going hungry. :) Then we all packed up and moved into the housing arranged for us for the rest of the week. Then a great time of worship and message with all of the men and women who are attending the SCORE November Outreach. Walt, the speaker has begun his week long series on the word "have" reminding us that everything we "have" belongs to the Lord, we are just stewards of it. Unfortunately, it rained and rained yesterday so our baseball clinics for this morning were canceled due to very wet roads and fields. Instead, we are going to feed a village this morning and going to a daycare this afternoon to play with the children. I will hand the computer over to the players at lunch and get their stories from today. Thank you all for your prayers. We feel them and know that you all are a vital part of what we are doing her in the DR.
After seeing Codey off to the DR on two past trips I am here and finally get to experience the country and the people that have captured his heart. 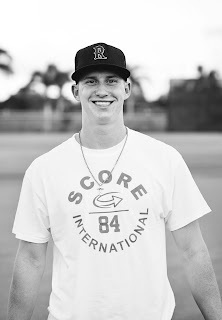 He has always had a love of baseball but to be able to combine that love with spreading the gospel of Jesus Christ, well it does a mom’s heart good to see her boy be in his element. I didn’t have any expectations in coming and didn’t know what my role would be except to be in a support position. I don’t mind that as I get to see things that maybe those with jobs while here wouldn’t get to to. What I’ve noticed over the last two days is that children, no matter where they are or how old, just want to be loved on and cared about. 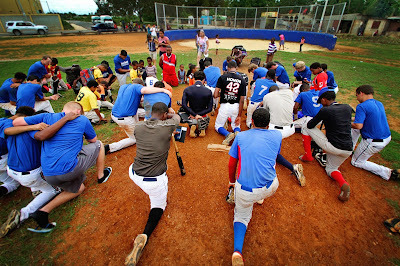 Many may wonder what coming over and playing a baseball game can do but it simply shows that someone, even if they are from somewhere else, someone somewhere cares about them, loves them enough to come over and share the ONE true love of Jesus and will continue to pray for them even after we have returned to our home. My heart is full being here with my son and his friends and teammates but at the same time it is empty knowing that we can’t do more right now. When you finish reading this please pray for these children and this country…that they would come to know Jesus as their Savior and be able to experience the fullness and love that that brings. Please pray for our continued time here that we can continue to be hands and feet and shine bright! Its the second day here in the DR and i am having a great time! today we played two games and fed the players sandwiches, after playing the games we sat them down and spoke to them about God. Today I shared my testimony about how i asked Christ to be my lord and savor, I also spoke on how we need to surround ourselves with great friends. This experience has already been life changing and I cant wait to see what the next five days holds. I promised my brother i would say happy birthday on the blog, so happy birthday breh. I already miss my friends and family a ton but i cant wait to tell them all the great stories and events that have been happening. Tonight we are going to the Dominican Rep. professional team which I am pumped about! I am praying and thinking about my loved ones and cant wait to see y’all. Remember to turn up and I will be back soon. Love you guys. Hey guys! It’s Saturday, the third day I’ve been here, and the second most of the other guys have been down here in the Dominican Republic! It’s my second time coming on this trip, I absolutely loved the first time and so far this has been no exception! Today we went and played against a team we’ve played the last 3 times we’ve been down here. Just from last time to this time the whole atmosphere has changed. It’s incredible to see a place completely changed and impacted for the better by SCORE. Juli, the founder, coach, and manager of the field/club we played against today said two things I would like to share. The first, “we have no aid whatsoever from the outside, no sponsors or government funding. Everything you see that we have has been our own doing, or through SCORE.” The second thing that really affected me was when Juli talked to Mr. Keith about our history saying, “You belong to us, you belong to this team, and you belong to our family,” seeing the sincerity in his eyes and feeling especially connected to this statement due to this being our second year really made that a special moment for me. Please keep us in your prayers constantly for the next week, we need it! Thanks guys, much love. It is the second day here in the DR! We were so excited about the opportunity to come down as missionaries being newlyweds. We both have prayed about serving and doing God’s work together since day one. It has been a great two days so far and we have been blessed by all the kids. These are the times where we love serving God and seeing his work be done through the game of baseball. Our biggest blessing so far this trip has been playing with the younger kids that are beginning to see God’s work being done. Making memories as a new married couple will always be precious, but the most precious thing is making new friends and other couples who direct and give advise about a Godly marriage. 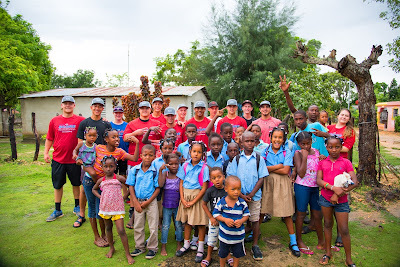 We hope and pray that the younger kids that came on this trip has felt like they have made an impact on the lives of the kids that they played baseball against the past two days. As my wife and I head back home tomorrow, we pray that God works in these kids lives and put them on the right path. We also pray that the HSWA players take in every devotion they have this week and seek God to better their lives in whatever area needed. We love everyone here that we know and have become new friends with. Always remember, a road to a friend’s house is never long and those who wait upon the Lord will always renew their strength. Love you guys! So thankful and full of joy to be here with my family serving the people of the Dominican Republic! Thus far, we’ve been able to share lots of love with the people here, and we’ve shared many laughs together. 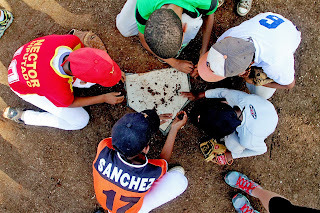 We’ve provided food with water to baseball players of every age…a simple act of Christ’s Love. 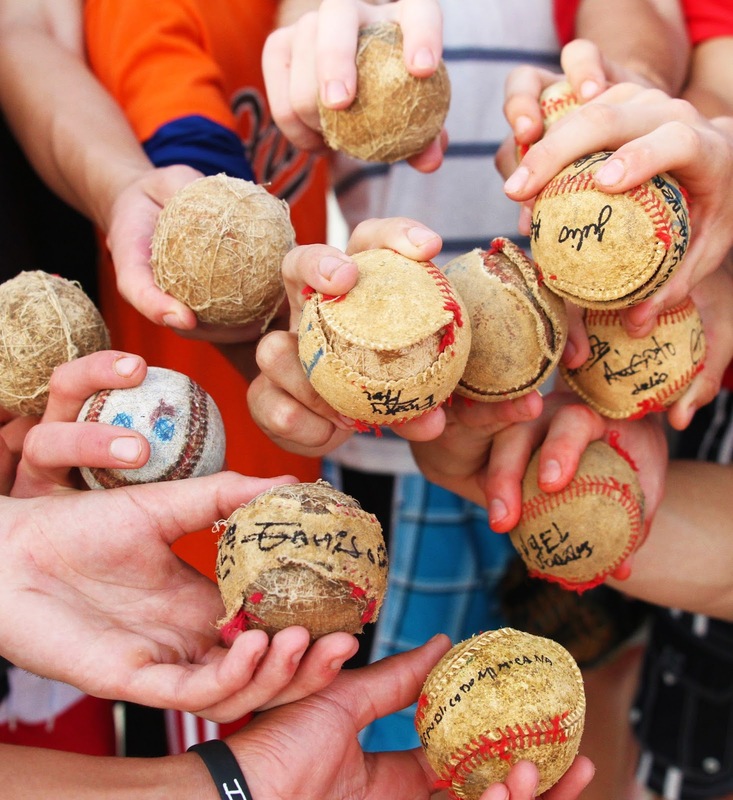 We’ve played competitive baseball…a common passion between us all. We’ve visited the precious children at a Christian School…providing support, smiles, hugs and high-five’s. We’ve made gift bags for the missionaries here in the DR. Most importantly, the gospel message of Jesus Christ is being poured out to the DR people, along with Bibles in their language. Today, I also had the chance to cradle and play with a 4-month old baby girl. She was so beautiful! She smiled and cuddled and melted my heart. I prayed that her heart will be tendered to God’s Word as she grows. I prayed that her little ears will hear God’s Truth. As she feel asleep on my shoulder, it was a sweet reminder of how amazing creation is…a sweet reminder of ALL of God’s people…a sweet reminder that God created us all and cares about us all. I can’t wait for the days to come! I can’t wait to feed the villages, I can’t wait to visit the orphans, I can’t wait to go to the other places in the DR to share the gospel message of Hope and Love! Jesus is Lord! He is King! I’m humbled to be used as His servant. 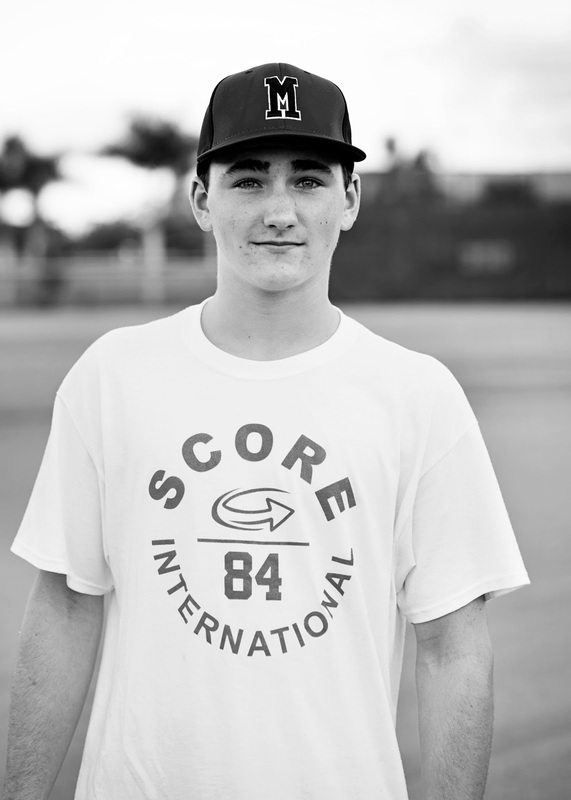 Hey this is Kyler, I’m from Houston Texas, I’m 17 years old and this is my first mission trip out of the country. Today was our first day out and we played two games. 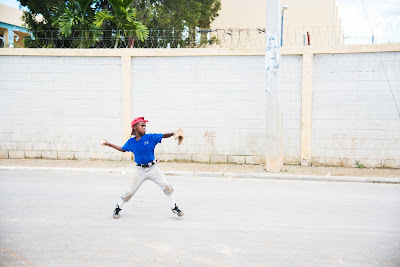 It was so different but so similar playing these Dominican kids. They were playing 110% the entire day and while playing some strange things happened. For example in the middle of the game a gang of cows just came onto the field and just stayed there for awhile. I caught most of both games and it was a lot of fun trying to talk to the kids who couldn’t speak any english. But baseball in itself is a language, we knew exactly what everyone meant without even having to say a word. I knew when the kids were talking trash and I know after I got hit by pitch in the arm that the kid was saying sorry, even though I can’t speak any spanish. Today was a success and through the help of translators I made a few new Dominican kids. Hola this is Joseph from Dallas Texas, and I am 16 years old. This is the first mission trip that I have been on out of the country. Today we went to play a double header at Estadio Alfanzo Soriano. Right when we arrived everyone could tell that the Dominicans could throw super fast. It was cool to intermingle with the players and realize how blessed we are with all the stuff we have. I got to get into one of the dugout and talk to the little kids with the Spanish I know. Today was the first time i played baseball with cows roaming around on the field. Even though we speak different languages, we can all understand each other because we all talk baseball. Hey this is Ryan Kirk and I’m from Charlotte, NC and I just turned 19. Me, Caleb, Noah, and Judy pretty much covered the east coast in one day starting at 4 am thursday morning when I had to wake up to go to the airport. We were supposed to fly from Charlotte to Atlanta, and from Atlanta to the Dominican, but that didn't happen because of the bad weather in Atlanta. So due to that, our flight had to stop in Huntsville, Alabama for about an hour, which caused us to miss our flight to the DR. So we ended up getting rerouted to Philadelphia, then New York, and then finally the DR. We ended up encountering a couple delays here and there in between Philadelphia and New York so we had to spend the night in a hotel in Queens and caught the the 8:30 flight friday morning to the DR. We ended up spending about 17 hours either in the airport or in the plane that day so that was fun. However, I thought we all made the most of it by just laughing about how crazy the situation was and just messing around with each other. I also met some new friends in Caleb and Noah and we automatically seemed to be pretty comfortable with each other as soon as we met so that was good to have some people to hang out with through that terrible experience. And thank God that we had Mrs. Judy there to tell us what to do and figure out what we should do. Otherwise, we would probably still be in the airport. So we ended up arriving to the Emmanuel House around 3 o'clock and was shown around and saw all the kids in their classrooms. Then we went back to the hotel and walked to the beach and ended up walking through a pretty poor looking part of the town. It’s amazing how blessed we are and how different life is here than in the US. It’s like a totally different world. I’m really looking forward to playing against the dominicans tomorrow and I think God is definitely going to work in all of our lives in some way this week. I’m used to blogging at wyattspigener.com. You should check it out. I write about life, and other important things. Sorry i had to do that because i’d feel cheating on my blog. With that out of the way, WE MADE IT! We had practice at the Giant’s field. We ate food. We had a devotion. Now we’re Nexflix and chill. We’re actually watching Baylor and K-state play. I don’t know what to put since we just got here. We have four people still not here. They are flying all over the US to fly to the Dominican. That we don’t get shot…. Just kidding…. It is very safe here but you never know. That we don’t get hurt. All of us are homeschoolers, so we are fragile. That the hot water heater works. That people come to Christ. Pray that Sharknado doesn’t happen. Or a shark attack. Pray that we survive the week without our phones. So I never ever blog but im going to at least try. So we had a little trouble at the airport and almost missed our flight but we surprisingly made it. It was raining for part of the day and was quite humid but we still managed to get a good practice in. We've settled in and our ready to enjoy this trip to the fullest so pray for the people that still haven't made it and pray for us to have a wonderful trip full of Christ spreading love. This is my first time to travel anywhere outside of the country. It makes the changes even more unusual that it is a third world country. Things are so much more different here than in the States. Everything from driving, to using the bathroom and showering. Despite these obvious setbacks, all I, and the people here, can think about is what God is preparing for us in this trip. 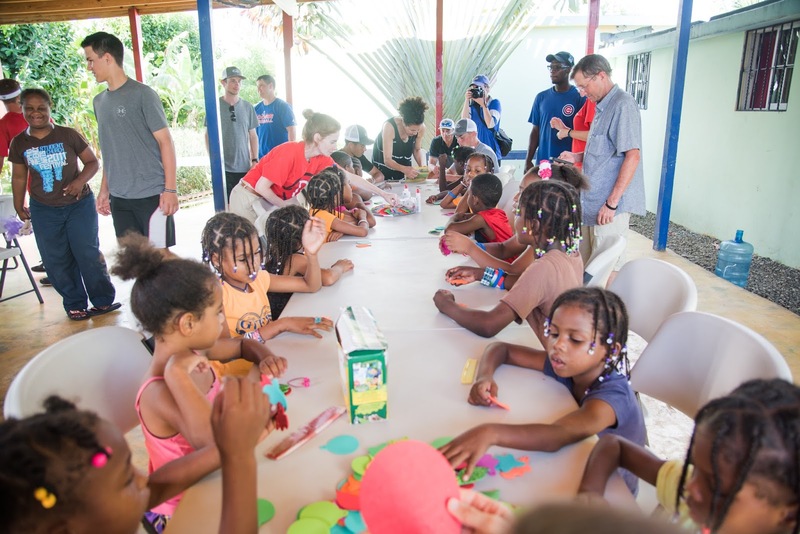 We are not even concerned about these changes and instead are focused on the goal set before us; teaching these less fortunate Dominican kids about Christ. We are thankful for the team the Lord has brought together. May He be glorified as we follow His lead! In deed, Jesus Lead On! 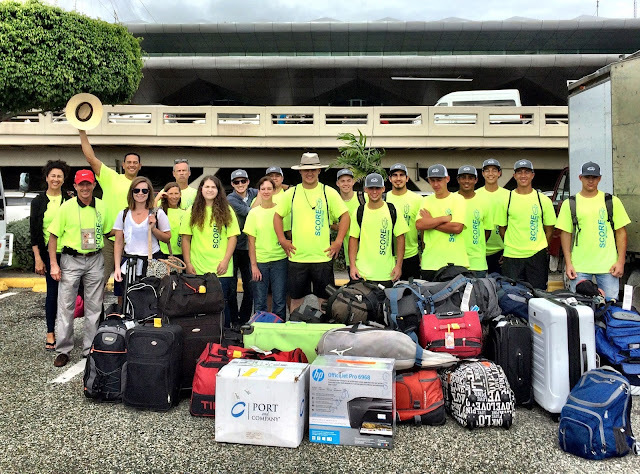 We’re finally coming to the end of our missions trip in the Dominican Republic. The first two days here went by very slowly, but now it feels like we just got here yesterday. Ironically thats been one of our topics. Time flies and its as if we were born yesterday and then we’re going to die tomorrow. I’m so blessed to have been able to come here and experience this culture filled with joy and happiness even though they might be less privileged than others. They are all very welcoming and open to learning and listening to what we have to say. Especially when it comes to baseball! I'm thrilled that I had the privilege to play baseball against the kids down here and see their skill and talent. You can immediately see how much they want to make it in the MLB, and they definitely have the talent. It shows how much harder I’ll have to work as well as everyone else that wants to make it far in baseball. This has been such a humbling experience for me and has truly opened my eyes and softened my heart to see how privileged I really am yet I still want more. I already cant wait to come here again next year! Several kids came to Christ this week sharing one thing that we all have a great passion for, and thats baseball. Im overjoyed that we gained many new brothers in Christ this week and I know that God is going to do great works in the lives of his children, even if it isn't making it to the big leagues. Another thing that impressed me so much was how grateful all of the kids were just for a baseball. A few of us gave away our shoes, and they switched them out for their flip flops right away. The satisfaction by giving to these people is far better than anything I’ve experienced. After experiencing the lifestyle of this culture I now realize how little the pictures do. I’m sure that if you come to the DR the kindness of these people will steel your heart as they did mine.